These words adorn the current brown paper bag from Shakespeare and Company Bookstore, one of my favorite places in Paris. It's my new favorite quote because it brings together two things I love to do; things I can do on my own but also share with my baby girl. I have always loved reading and being read to. What child doesn’t? One of my favorite childhood memories involves the Book – the one every kid has on repeat, demanding it be read over and over and over again. Mine was Peter and the Wolf. Or as I called it, Peter and the Woof. I remember it well: after much asking, pleading (or let’s face it, nagging) my Grandpa would finally bring it down off the shelf in the hall closet. I would clamour up onto his lap and together we would dive into the story of Peter, his Grandfather, the Cat, Duck, Bird and the menacing Wolf. Grandpa wouldn’t just read me the story; he told me the story, which meant it was different every time. It also didn’t hurt that our version was a beautiful pop-up book, so the plot really came alive on every page. I know now the reason it was always different was so my poor Grandpa wouldn’t go crazy with having to read it exactly the same every time. He had to change it up because we read that book A LOT. It was my favorite and I loved it. Every single time. Books can transport and transform; educate and entertain. I have such fond memories of being read to and reading that books are now my go-to gifts for the kids in my life. Kids can never physically out-grow books and as they get older, they can share their favorite stories with the other children in their lives – their siblings, cousins, and friends. Stories may be repeated over and over but repetition is an important learning tool. I know – repetition can sometimes get painful but it doesn’t have to, as my good-sport Grandpa demonstrated. A beloved story can inspire imaginative retellings and feel brand new again. My baby girl already has an impressive library of books on all kinds of topics and we are so excited to keep building it as she grows. Story time is an important part of our bedtime routine and it’s something we all look forward to as a family. 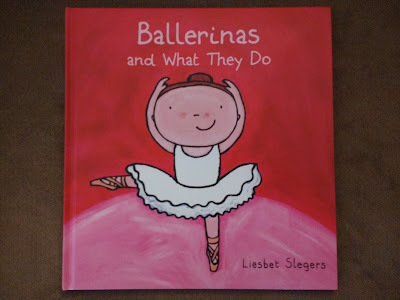 As my gift to you this holiday season, here is a list of some of our favorite storybooks about dance. They have all passed my Tiny Dancer’s enjoyment test and I hope they will for yours too. This board book is from the Jellycat brand of toys and books and it’s a favorite in our collection. 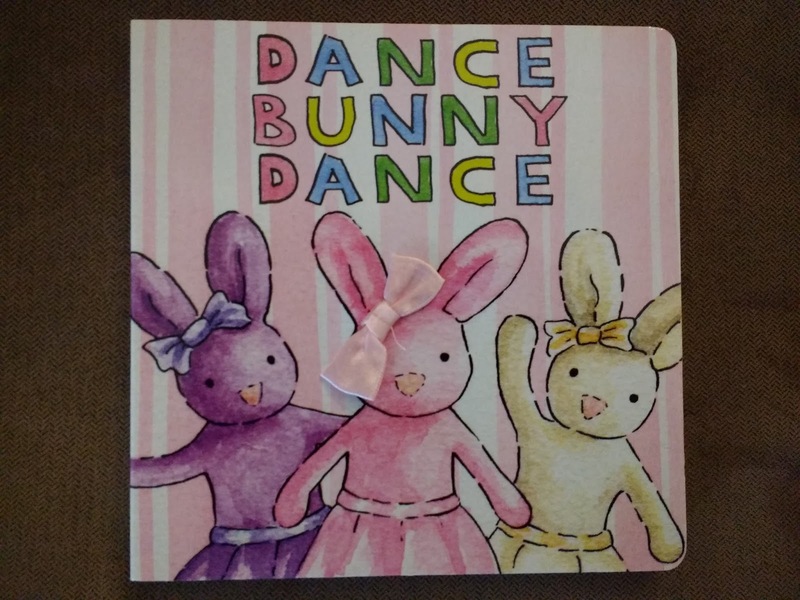 Its simple, rhyming text pairs nicely with tactile aspects of Bunny’s world for Baby to explore: fuzzy ears, a piece of tulle for Bunny’s tutu, a real ribbon bow on her head, etc. Dance Bunny Dance was one of the first dance books we read to our Tiny Dancer and it’s we one we enjoy coming back to for a fun, quick read any time during the day. It`s never too early to introduce your little one to beautiful art and there’s no better way to start than with the magical works of the great impressionist Edgar Degas. 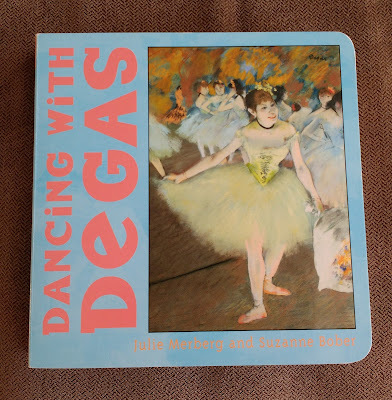 Dancing with Degas features some of Degas’ famous ballerina paintings alongside text that explores the story of each painting. It`s part of the Mini Masters series, so you can continue Baby’s art education with other titles featuring Matisse, Monet, Van Gogh, Picasso, Renoir, Seurat and Cassatt. 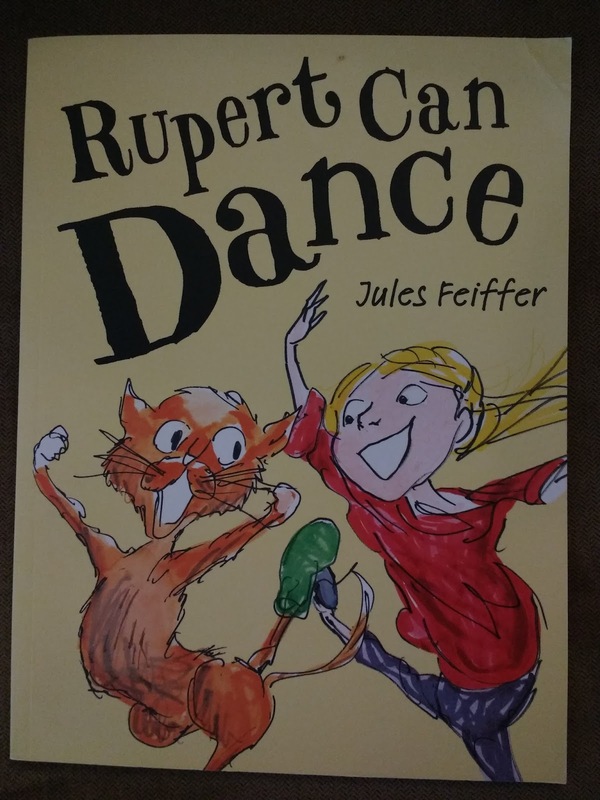 This book tells the funny story of Mandy, a girl who ‘dances her days away’ and loves to perform for her cat Rupert. Little does she know that Rupert is a dancer himself and spends each night dancing in secret – in Mandy’s dancing shoes. It`s the perfect arrangement, until Mandy accidentally finds out how her cat spends his nights and tries to give him dance lessons. What`s a dancing cat to do? Jules Feiffer’s cute characters and delightful sketch-like illustrations are sure to charm you, your child and your cat. This book offers a great introduction to the day-to-day going’s on in a dancer’s life: from class, to rehearsal, to performance. It's full of straightforward and practical information for inquiring young minds, such as “A dancer must get enough sleep, eat healthy food and stay fit”. 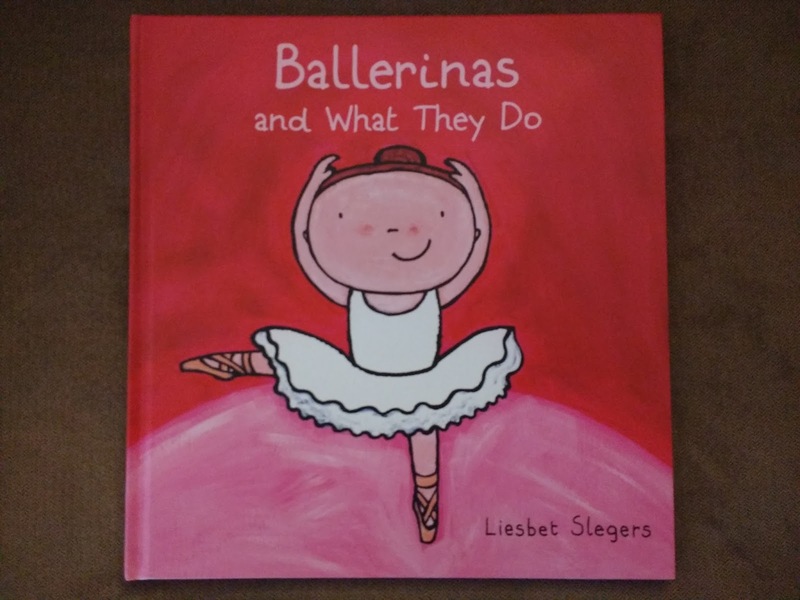 With its bright illustrations, this book is a fun behind-the-scenes look into the dance world. What better way to start learning the ABC’s than with this lovely ballet-inspired alphabet? 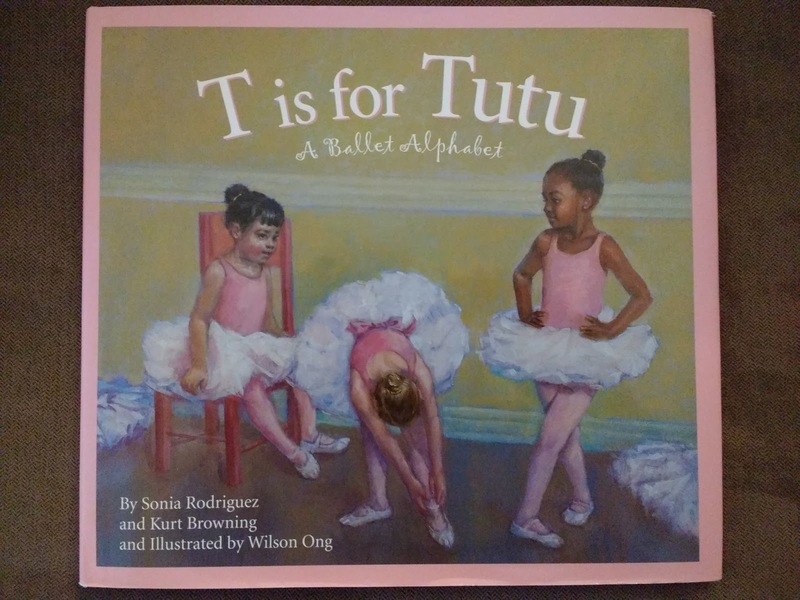 Written by Canadian power couple Sonia Rodriguez of The National Ballet of Canada, and her husband, World Champion Figure Skater Kurt Browning, T is for Tutu is a must-have for any dancer’s library. 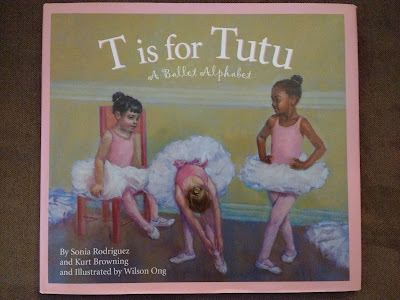 My girl enjoys its rhyming script and Wilson Ong's richly painted illustrations, and I enjoy the short educational snippets on each page, such as the history of the pointe shoe (‘P is for Pointe’…) or an explanation of the French terms used in ballet’s ‘Universal language’. I’ve even read it to my junior and senior high aged dance students as an intro to ballet vocabulary and history. This book is one of my personal favorites and I look forward to reading it again and again. A new addition to our library, Firebird is gorgeous and destined to become a classic. 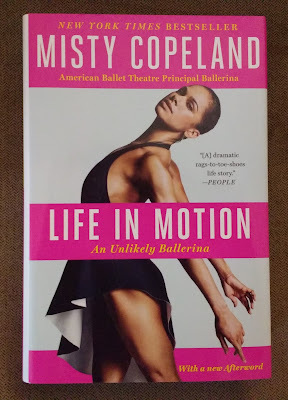 American Ballet Theatre's Misty Copeland weaves a heartfelt tale of a young dancer who struggles with self-confidence and doubts she can ever achieve her dancing dreams. 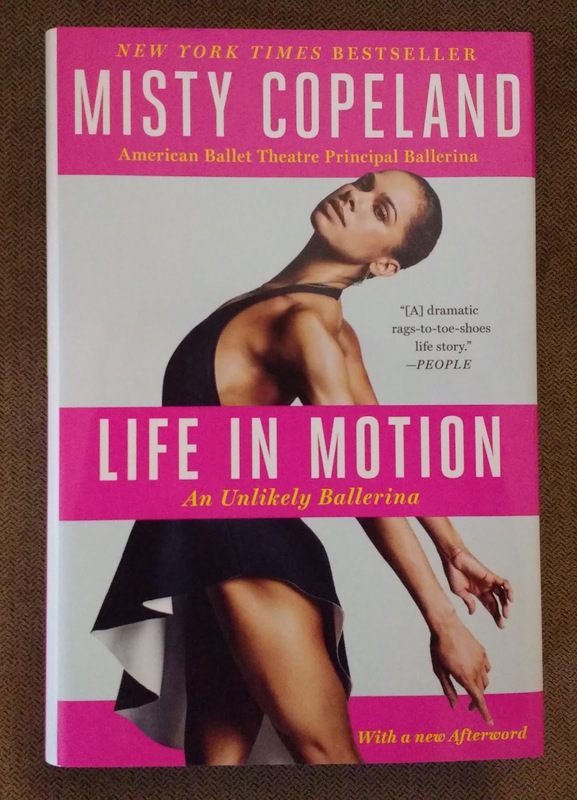 It’s a story that’s very close to home, as Misty herself faced the same struggles yet found the courage to persevere and became the first African-American Principal Dancer with ABT. 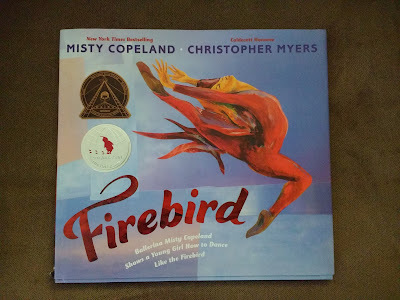 Through her sincere, poetic text, Misty is a guiding voice, providing gentle encouragement and reassurance that all is possible, and with faith and hard work, the young dancer will someday dance like the Firebird. Exquisitely illustrated in textured collage-style by Christopher Myers, Firebird is a mesmerizing, uplifting story for dancers of all ages. Life in Motion: An Unlikely Ballerina. I couldn`t resist adding this memoir as a bonus title for older dancers and fans. I finished it in three days and all I can say is my admiration for this incredible dancer and woman quadrupled - and then some. There’s a quote that gets thrown around a lot on social media: “She needed a hero, so that’s what she became”. That is Misty Copeland. The world of books is a wonderful, magical place that we like to visit each night. Everybody wins when you make time to read and dance together, so on that note, I wish you all many joyful hours spent reading and dancing, and a peaceful and very happy 2017.